But wait, there's more! The TF2 team was feeling left out of all the great deals and have gone ahead and discounted the Deus Ex-themed Manno-Technology Bundle for this weekend only. 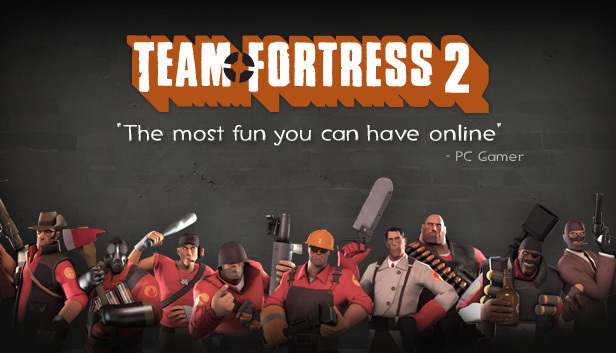 Jump in to Team Fortress 2 to check it out! Be sure to check back each day, now through Sunday, for more great deals! The second annual holiday-themed "Australian Christmas" update, features two retro-futuristic Dr. Grordbort class packs for the Engineer and Pyro, designed by Weta Workshops Greg Broadmore. In addition to the class packs, the update will also ship 14 new holiday-themed weapons, hats and cosmetic items by the TF communitys item creators, using the Steam Workshop. CP_Foundry, a new five-cap control point map designed by Valves TF2 team, comes with 12 map-specific achievements. As part of the holiday celebration, over 50 items in the Mann Co. in-game store will be on sale for up to 75% until January 2nd, 2012. Additionally, the in-game item drop rate will be doubled for the first week of the event. Take advantage of a special pre-purchase promotion for Deus Ex: Human Revolution. In addition to the 10% discount, all Steam Pre-Purchasers now receive eight all-new, Deus Ex-themed items for Team Fortress 2! Deus Ex: Human Revolution is also now available for pre-load so you'll be ready to play when it releases! Or, pick up the massive QUAKECON Pack, a collection of all released id and Bethesda titles at over 75% off!. Save an additional 20% off the QUAKECON Pack by pre-purchasing either RAGE or Skyrim (oh yeah, Skyrim is now available for pre-purchase!). Or Save over 40% off the Pack by pre-purchasing both of them! Plus, BRINK is 50% off and available to play for FREE this weekend, starting now through Sunday at 1pm PDT. Finally, get unique in-game items in Team Fortress 2! Get "The Original" Quake rocket launcher when you buy Quake 4 or get the RAGE Wingstick when you pre-purchase RAGE. Dont forget to come back tomorrow for more great deals and special offers.